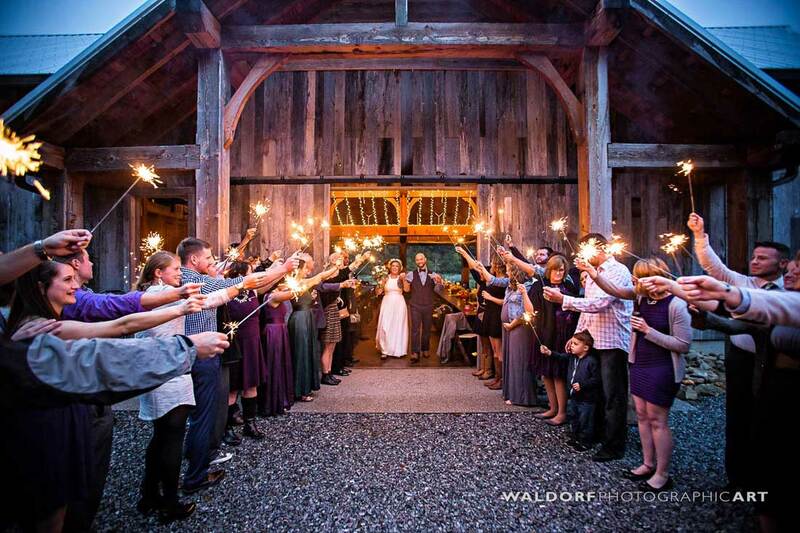 Pure Water Farm is a one-of-a-kind barn wedding venue near Gatlinburg and Knoxville. The barn was built by local craftsmen exclusively for events and has never been used for farming, making it is the cleanest barn venue in the Knoxville area. 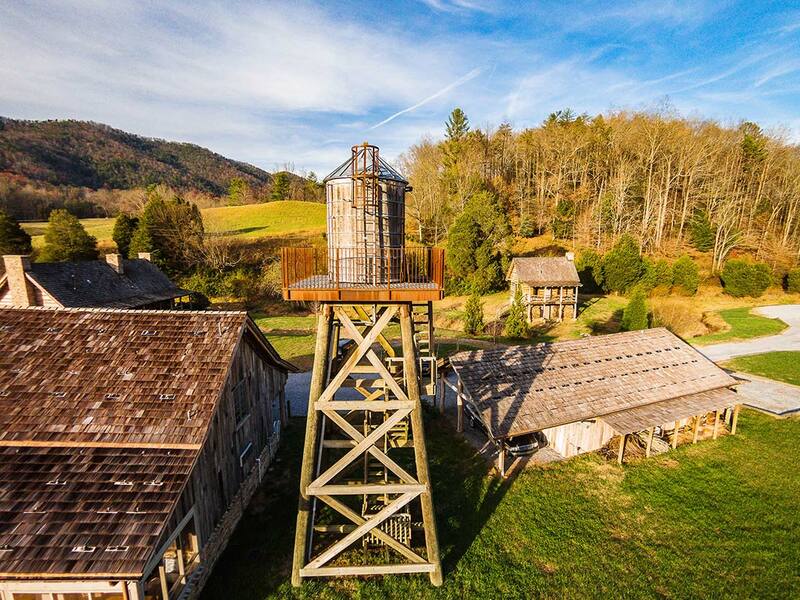 Each building, from the charming schoolhouse to the impressive natural wood barn, has been completely restored from the original European settlement located on the property. 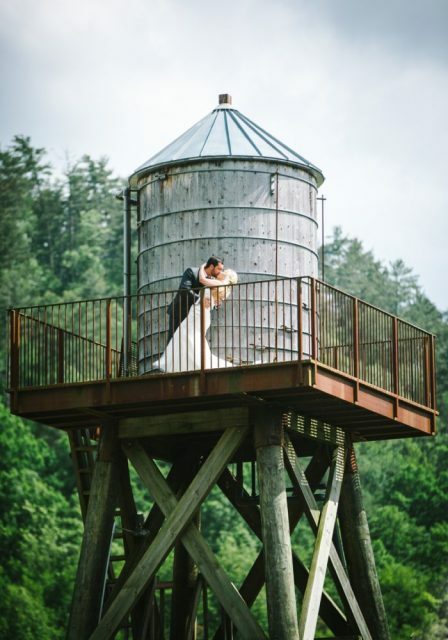 With the impressive structures and modern amenities, the farm is truly a unique and memorable wedding venue near Maryville, Tennessee. The lush landscape and natural beauty of the farm has often been called a photographer’s dream. Pure Water Farm is the perfect setting to capture lifelong memories. Couples can choose to exchange vows outdoors under one of the beautiful flowered arches, surrounded by the picturesque Smoky Mountains, or host the ceremony indoors in the custom-built rustic barn located in the heart of the property. An archaeological dig revealed foundation stones, fireplaces, building logs and other indications of habitation on the property by Europeans. It was determined that the land was actually home to one of America’s earliest colonial settlements dating back to the 1700’s. Eventually, the buildings on the property were reconstructed exactly as they had looked three to four hundred years before. According to a translated Conquistador journal, a Spanish explorer searching for gold named Juan Pardo camped near the property in 1566. Evidence of Native American habitation has been found to be as old as 10,000 years. Our spectacular event barn can accommodate up to 100 guests for a plated or family-style dinner with a dance floor. 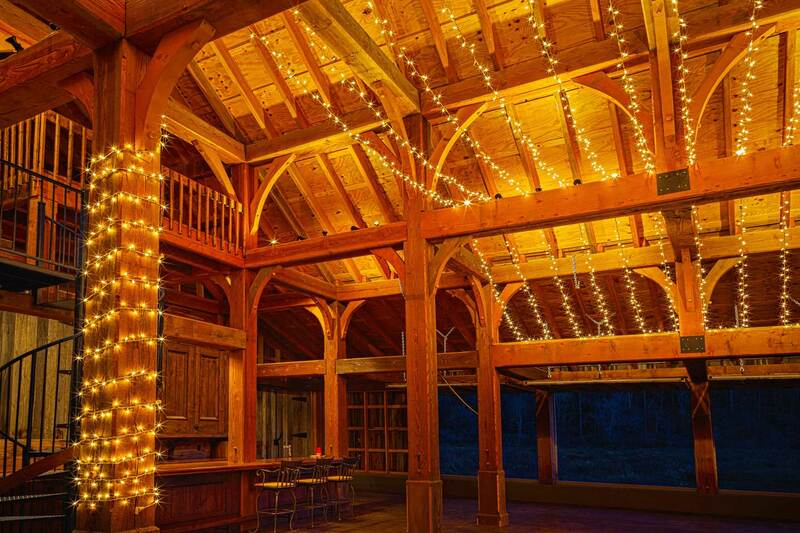 For larger parties, a tent can be set up by the barn entrance, allowing for 200+ guests. Inside the barn, you’ll notice the incredible hand-crafted details that make this venue so unique. Featuring beautifully aged wood siding, authentic black iron fixtures, enormous hand-cut saw wood beams, and breathtaking archways, the event barn is an ideal setting for your ceremony or reception. Your guests can enjoy a beverage from the hand-built bar while dancing the night away on the heated floors. 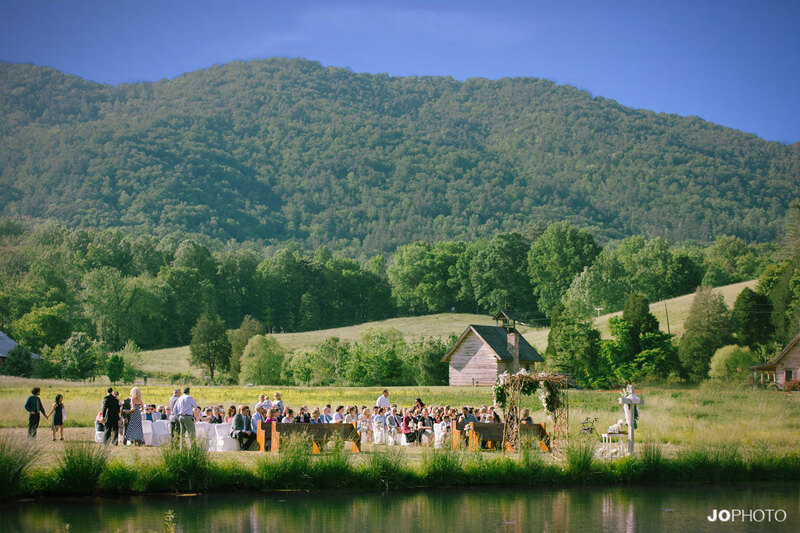 There are no comparable wedding venues in the Tennessee mountains. Our wedding rental package also includes one year of wedding planning from our award-winning wedding coordinator. Kristy and her team have helped hundreds of couples experience the wedding of their dreams. When you contact us, we will provide a complimentary wedding consultation. 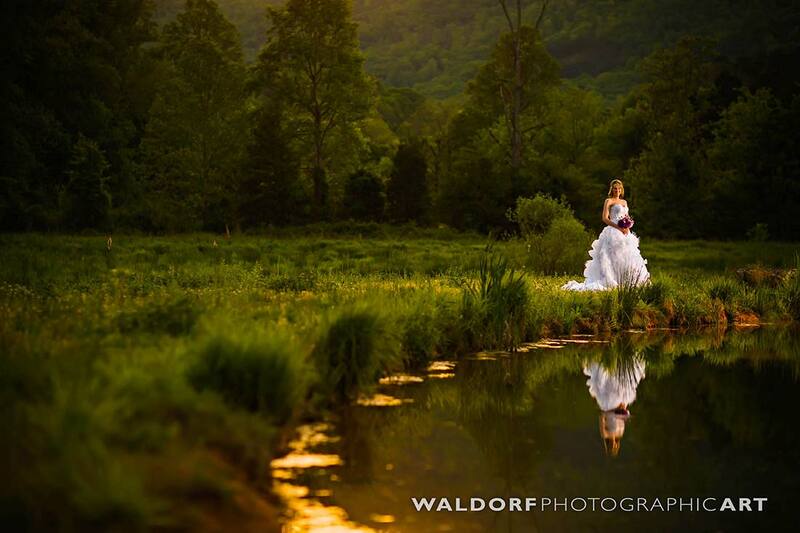 Pure Water Farm is the perfect place to host your wedding, truly one of the best wedding venues in Tennessee. Whether you are hoping for an intimate ceremony or an elaborate affair, you and your guests are sure to have an unforgettable day. Beautiful setting, awesome barn. Our daughter’s wedding was magical despite a rainy Saturday. Thank you Peter for a great venue and terrific day. It was everything our daughter dreamed of and more.” -Renee D.
Pure Water Farm is located near the entrance to the most visited national park in the United States, the Great Smoky Mountains National Park. Known for sweeping mountain views and wildlife diversity, the park accommodates over 10 million visitors per year. Popular activities include hiking on over 850 miles of trails and unpaved roads, including 70 miles of The Appalachian Trail. Other activities include fly fishing, bicycling, and horse back riding, please visit the official park site for more information. Your wedding ceremony will be only 15 minutes from Knoxville’s McGhee Tyson Airport, 10 minutes from Maryville, and 20 minutes from Knoxville. While Pure Water Farm is located in a very secluded natural setting, its proximity to the greater Knoxville area will give any out of town guests many lodging options. 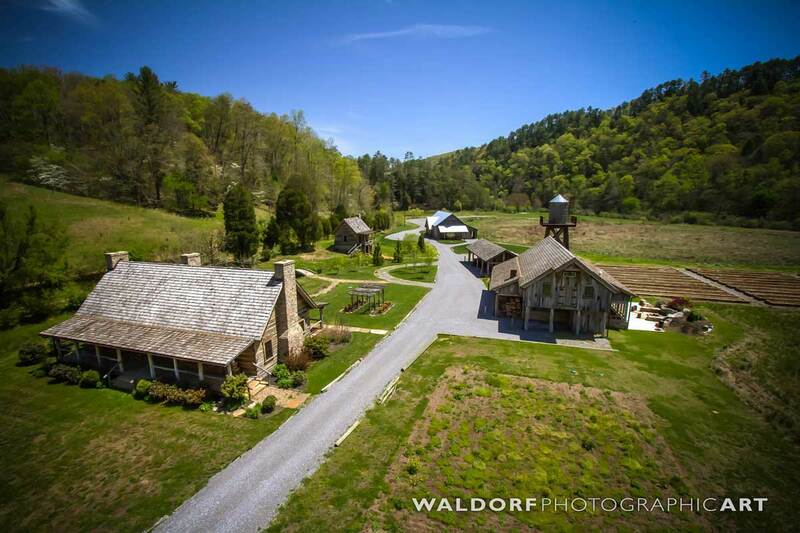 Contact us via email or call (865)325-3077 to schedule a tour of our one-of-a-kind rustic wedding venue. Share Pure Water Farm with friends and family!